Qatar will leave OPEC in January 2019 to focus its efforts on plans to develop and increase its natural gas production, a decision is confirmed today by the country's state oil company (the Qatar Petroleum) just days ahead of the December 6 OPEC meeting, Qatar is the first Gulf country to leave the bloc of oil-producing countries. The small rich Gulf country is the world's biggest supplier of liquefied natural gas (LNG), producing about 30 percent of the world total, Qatar shares the world's largest known natural gas field, the North Field, with Iran, it is also a member of the natural gas producers’ group, the Gas Exporting Countries Forum, which has its headquarters in Doha, the country’s capital. It is known that Qatar partnership strategy is expanding to reach countries like Brazil, Mexico, Argentina and south Africa in the next few months. 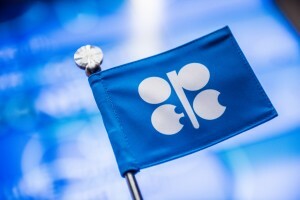 The minister of State for Energy Affairs said the decision was not easy as Qatar has been in OPEC for 57 years, but the country's impact on OPEC production decisions was small and that the decision was not linked to the political and economic boycott of Qatar imposed since June 2017 by Saudi Arabia and three other Arab states, he added that Doha would continue to abide by all its commitments like any other non-OPEC oil producer. In terms of immediate oil market impact, and based on a market research, this withdrawal will not make much difference although it’s said that this is a sign of a new cold war in the Middle East. The decision was announced amid the Oil surge today as Saudi Arabia and Russia extended their pact to manage the market and Canada’s Alberta province ordered unprecedented output curbs.